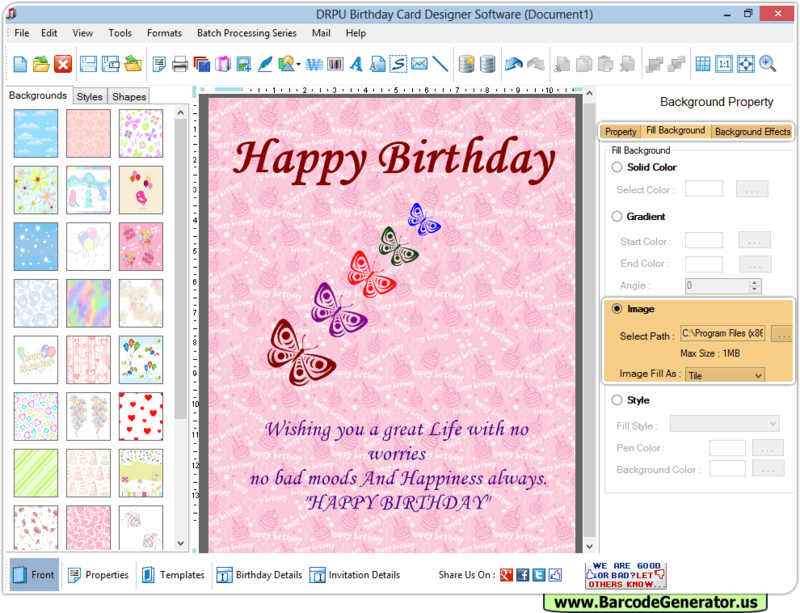 Birthday card maker software provides solution to design customized and colorful birthday cards with option to add Photo, Text, Icon and Personal messages during card maker process. Image designing objects including Text, Pencil, Arc, Ellipse, Rectangle, Star, Picture and similar objects provides interactive support to design happy birthday cards of own choice. Birthday greeting cards can be designed and print in different shapes including Ellipse, Rectangle and Rounded rectangle with support of Birthday card software advance print settings. 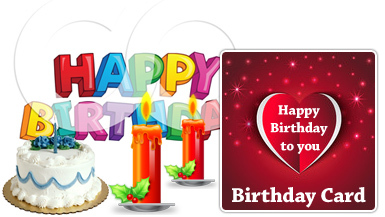 Design your own style of Birthday Card using 'DRPU Birthday Card Maker Software. Design good looking cards in different shapes including Ellipse, Rectangle, Rounded rectangle and more. Provide facility to create Birthday Cards by the help of Start with Templates, Create Card by Using Wizard, Create Card with Blank Format. Software helps users to print multiple copies of colorful and custom style cards using advanced print settings. Provide option to send designed birthday cards on specified email address using inbuilt email setting option. Batch Processing Series feature allows to generate the multiple copies of Birthday Cards with different barcode and text value.